This article is about the book. For the subtheme, see Star Wars Episode I: The Phantom Menace. 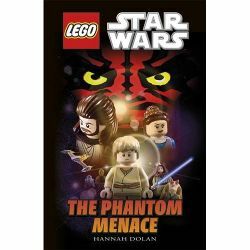 LEGO Star Wars Episode I: The Phantom Menace is a hardcover book published by DK released in 2012. Facts about "LEGO Star Wars Episode I: The Phantom Menace"